Every child wants to be unique in their own special way. 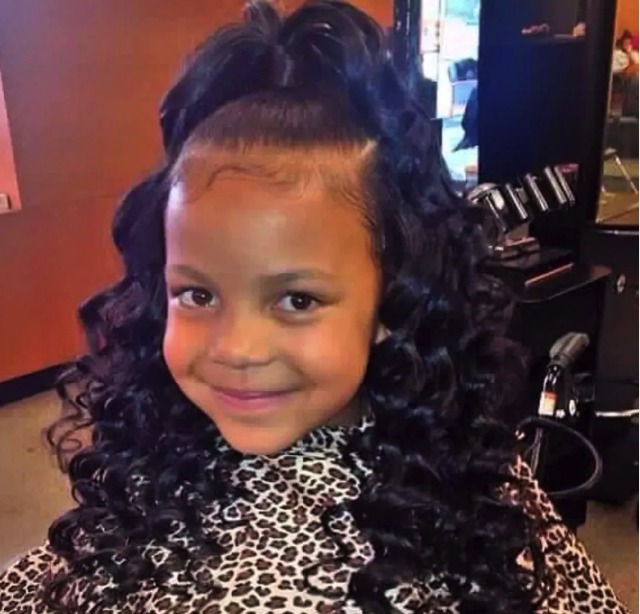 What about giving your child a hairstyle that no one else has? This would emphasize your little boy or girl’s individuality and charm. 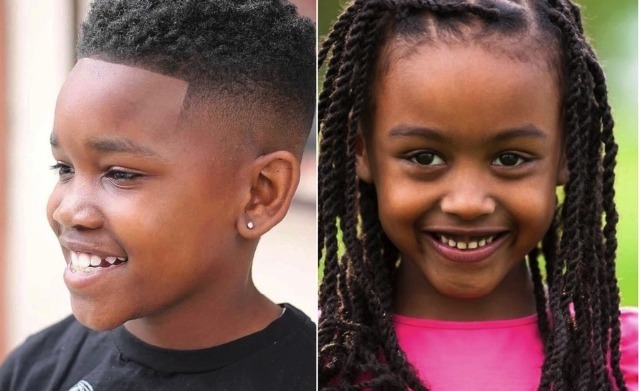 See the most popular kids hairstyles for boys and girls in Nigeria, and choose the one which is the best for your kid! 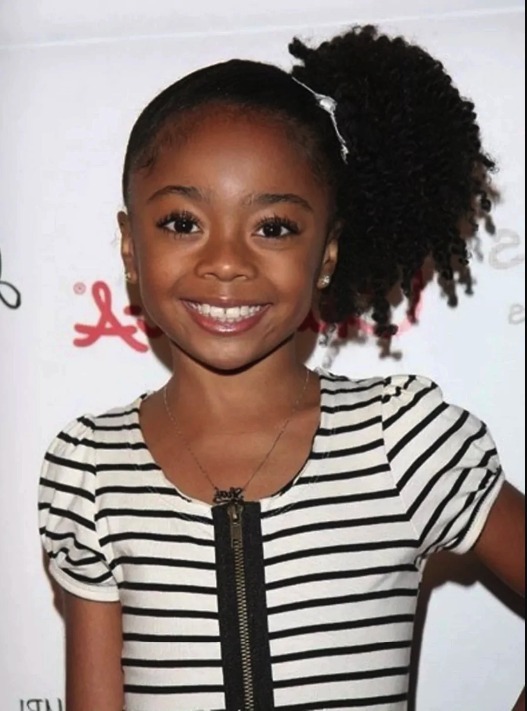 The natural hairstyles for kids have a lot of personality and they are absolutely perfect for your little child. African traditional hairstyles are just right for both girls and boys. You can choose a good hairstyle for an energetic and quick kid, or for a calm and reserved one, there is no serious difference. 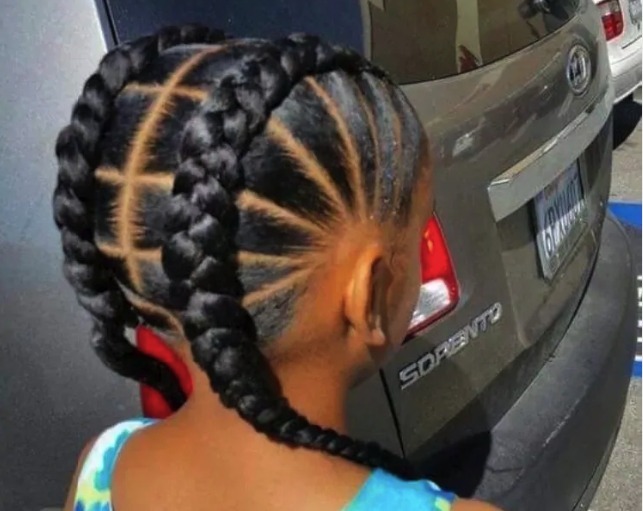 This article will offer you a lot of Nigerian hairstyles for children, including braided hairstyles, shortcuts, and many other great choices. With them, you will be able to pick the right hairdo for your child at any time. You should celebrate childhood every day since it is so fleeting and your kid will not remain a child forever. 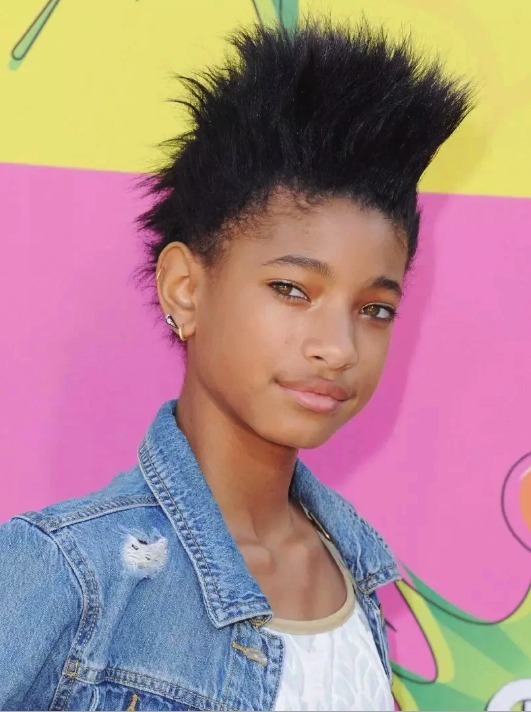 So, here are the best and trendiest black kids hairstyles, which would be a top choice in Nigeria. They are so bright and appealing that the parents usually want to try each one of them for their kids. 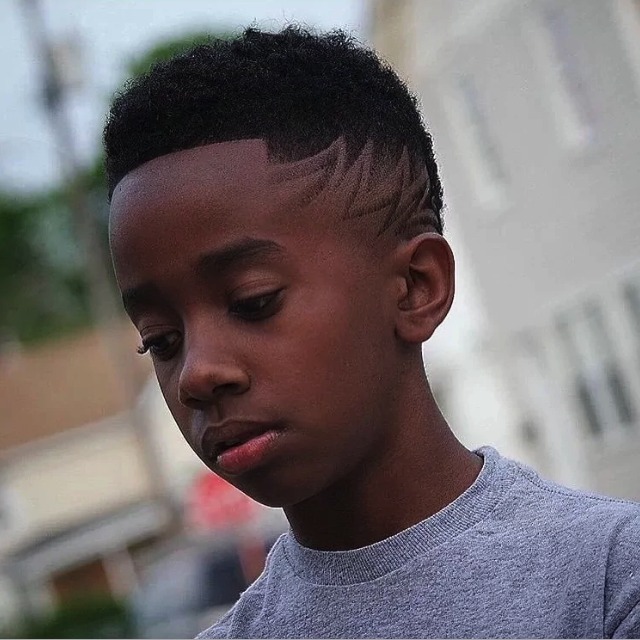 We will start with the kids hairstyles for boys because they are usually less highlighted in the media than hairstyles for girls, even though there are a lot of creative choices. Does your son want to be the coolest boy in his school? You can help him with this! See the most stylish hair choices for the little kings and pick the one that your son likes the most. Perhaps your son does not want to wear long hair? Do not worry – buzz cuts are a trend of this season, and they are even more fun if you add some interesting elements to them. For instance, you can shave one part as a letter V or half-moon, or shave off the sides in some interesting geometric fashion. 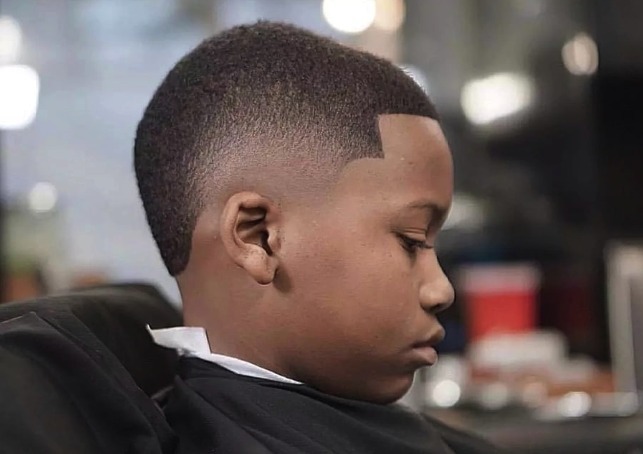 Buzz cuts with fade are popular both among grown men and little boys because they are stylish, practical and pleasant to look at. The curls are a little longer than a buzz cut, but they are no less attractive and practical. They preserve the African spirit and would be perfect to wear for your little boy. Besides, they give a feeling of comfort and warmth. Surely, your son will not refuse this hairstyle, knowing that it will make him look cool and fashionable. The uniqueness of this hairstyle is that you can leave the amount of hair you wish on top of the head, but then you shave off a straight line under it and shave your hair underneath so it looks like it is fading. 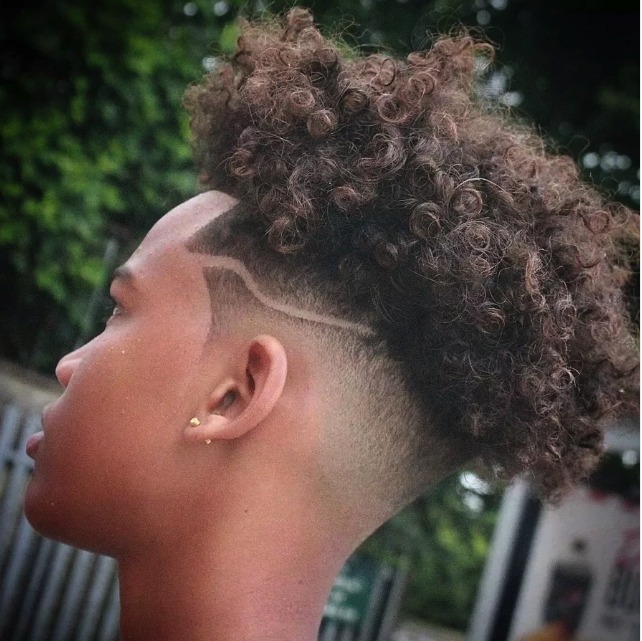 This hairstyle choice is pretty innovative and modern, and you can see more and more young boys in the streets rocking this hair. It would be a perfect pick if your boy’s curls are only starting to grow, and you leave them a little out of order. This hair might look like the previous picks, but the beauty of this hairstyle is that you can shave anything you want on the faded part of your hair – just choose the right design. It can be just abstract patterns, or the first letter of the boy’s name, or something related to things he likes. In a way, this hairstyle can be compared to the former one. However, the difference is that your boy’s hair will be put together in a voluminous curly frohawk, which will totally attract everyone’s attention. To make the hairstyle even more appealing, the fade can be decorated with the gorgeous designs. 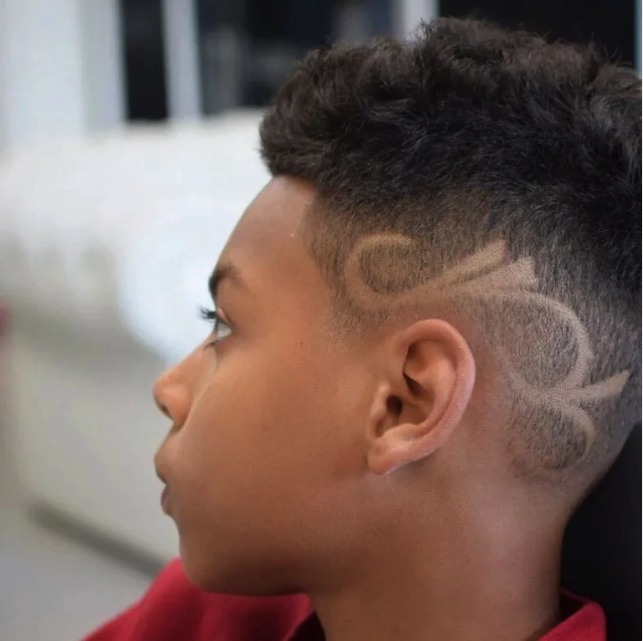 There is no doubt that your son will become a trendsetter among his peers, and all the friends and classmates will desire to have the similar hairstyle. It is a well-known fact that the boys who have curly hair give a positive vibe – people are convinced that they have a good heart, are kind and friendly. 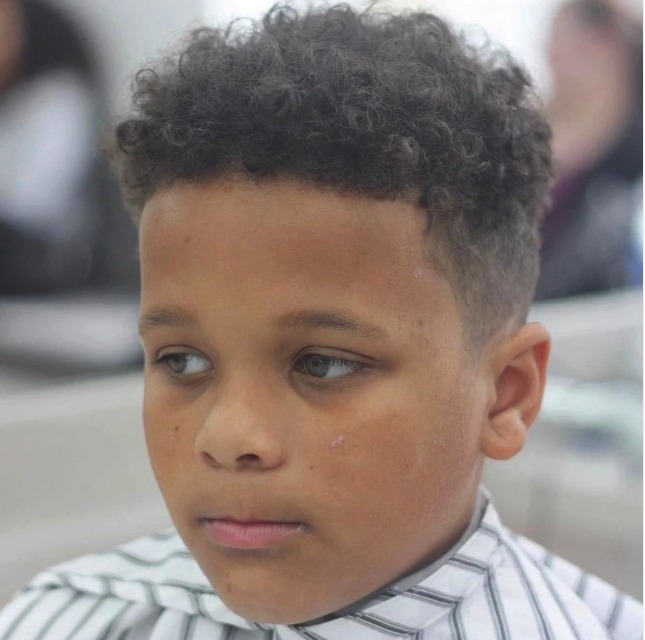 But at the same time, curls give some additional confidence and independence, which is much needed for your little man when he is trying to gain popularity among other children. 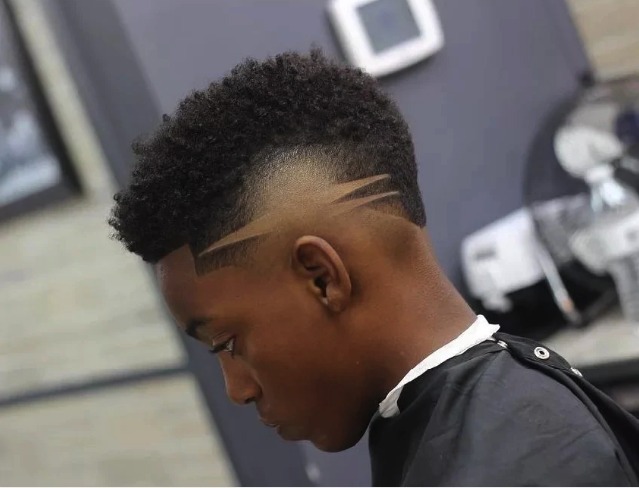 So, you can let his natural hair loose and shave only the sides – it will frame his face shape nicely, and it is also very practical when it comes to hair care. This hairstyle is for the most active and cheerful boys with a fiery personality. 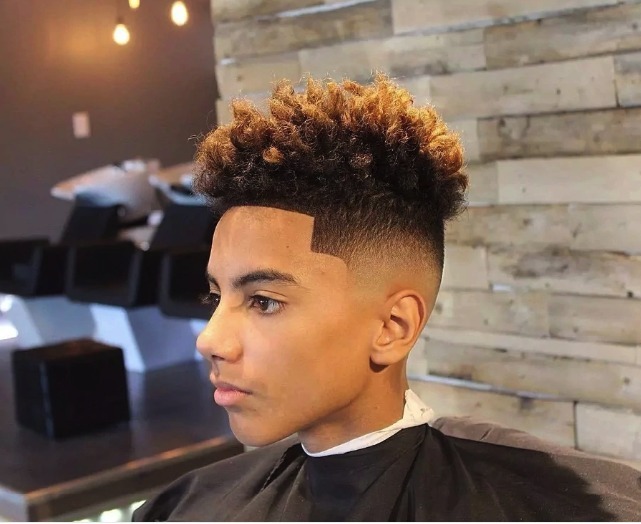 Your boy will be over the moon if he gets a curly hairstyle with the golden highlights, along with the geometric fade which will make his face stand out. There is no doubt that everyone will notice your son with this courageous haircut. Remember the movies which starred guys with a big afro? According to the cinematic trope, these guys are usually outgoing, cheerful, and funny. 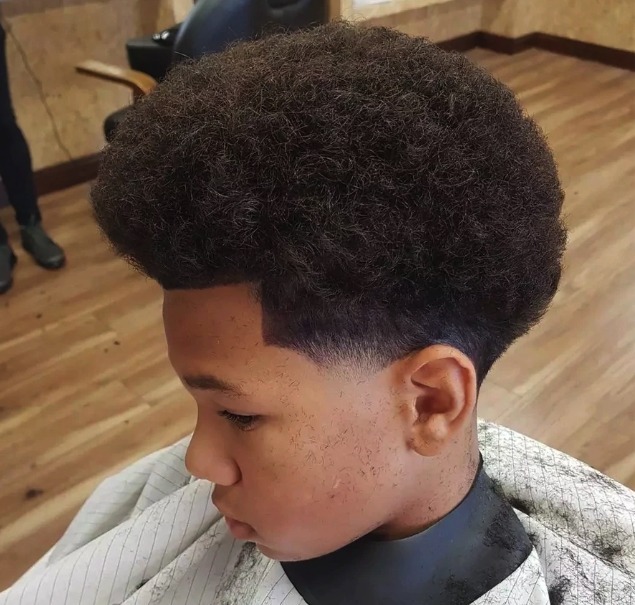 These points show why it would be a great choice to give your son an amazing afro hairstyle. We already talked about curls, but what about the messy ones with a high fade? This would be ideal for the boys who naturally have curly hair and want to flaunt it even more. 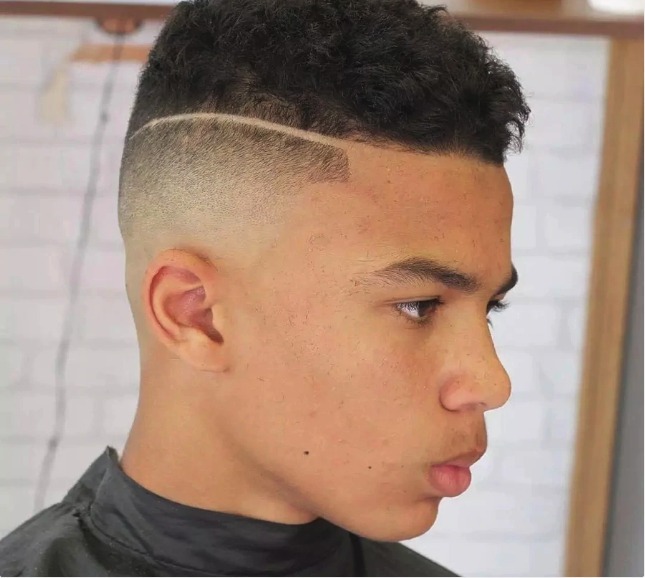 This hairstyle is a bold mix of natural fluffy hair and the modern faded undercut, which is a current trend among male barbers. Everyone will love this original hairdo on your son. These were top ten hairstyles for boys, which they can wear anywhere. As you can see, we care not just about looks but also convenience, and these hairstyles perfectly combine the two together. Now, we will move on to the girl hair choices. You can help your little daughter in becoming the trendiest girl in her school by giving her the most fabulous hairstyle. Let’s see which ones are the fashion sensations nowadays! This hairstyle is not only one of the prettiest, but also the most practical and helps to protect the hair. In addition to this, it looks really cute and charming. 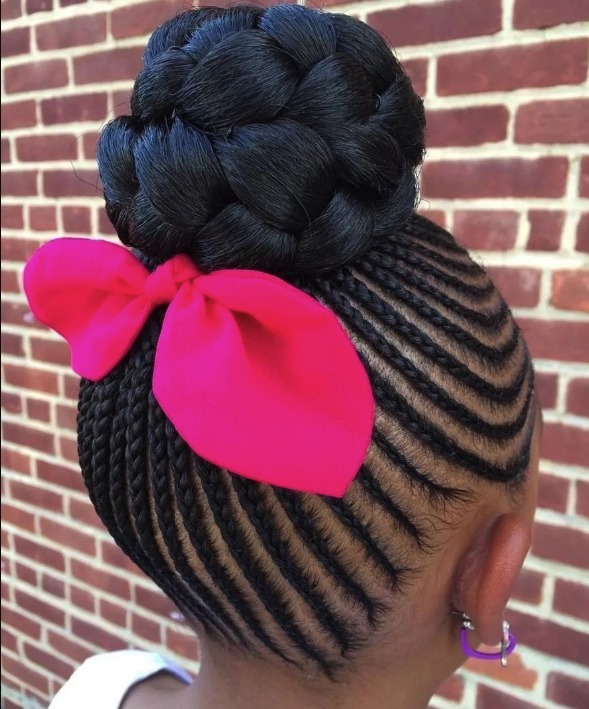 The braided bun can be made out of thick and thin cornrows – the difference will be visible, but both options would look great. This hair option is universal for any type of hair, and there are different versions of the buns – high bun, low bun, or spiraled bun. You can even create a new one every day and rock various looks. The bun will greatly help out if your daughter is really active and playful – her hair will not bother her during her games. Fishbone cornrows are really perfect pick for a bold girl who likes fun. Your daughter is guaranteed to set trends with the unique fishbone designs on her head. If there is some hair left, you can put it into a ponytail, style it in a separate way, or just leave it be. Another benefit of fishbone hairstyle is that it does not need special care – just refreshing your curls every day with the help of good hair oil would be enough. This hair option is one of the girl classics, and you can do basically any other hairstyle out of them – which includes, braids, buns, and ponytails. If your girl is wearing the twists, you will not have to constantly worry about styling them – they literally just style themselves. This option can also be perfect for those girls who have naturally dry hair – twists are very protective and useful for them. Young girls love this hairstyle so much for a reason – it makes every young lady look sweet, fresh, and adorable. 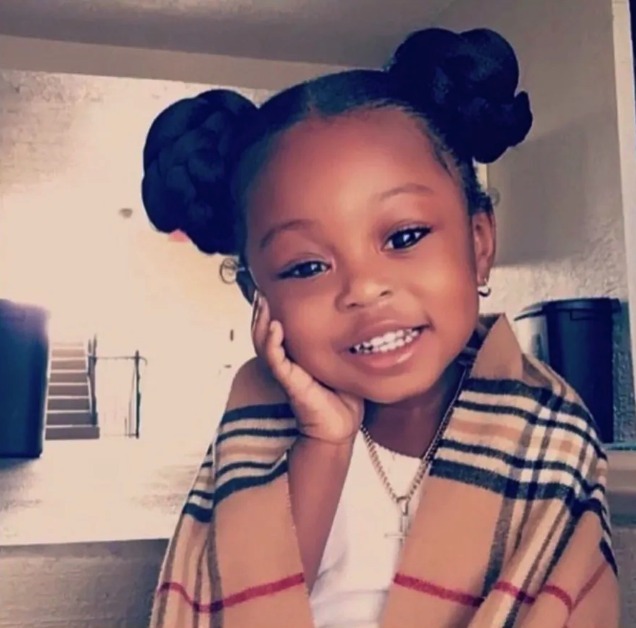 This hair option may be considered a retro one, but it is still popular among Nigerian girls and their mothers who happily style their daughters’ hair. To create these beautiful curls on your head, you will need to create flat twists in front, and then the curly spirals in the back of your head. This hairstyle offers plenty of various options – the pigtails, ponytail, or letting your hair loose. A good recommendation from the hair experts is wearing a protective satin bonnet on the head when you sleep because comparing to braids, the twists are not so tight, so you should look out not to mess them up. 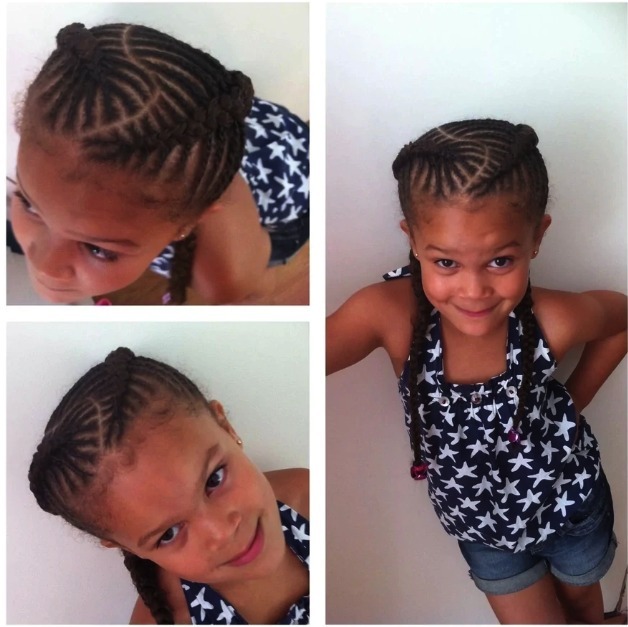 These braids are classic among children and adults. They are pretty, elegant and appropriate for all ages, and they also make your look more sophisticated and classy. You can style your girl’s hair into French braids for official events, but every day would also do. If your young daughter is fond of sports and likes tying her hair for the convenience, this hair is definitely a win for her. 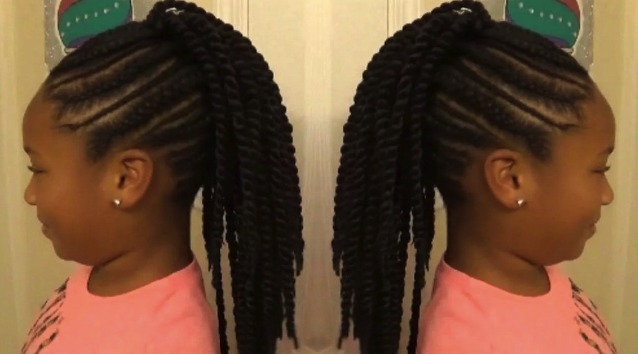 Another benefit is that these braids are really easy to create on your girl’s head, and you will not have to go to the stylist. 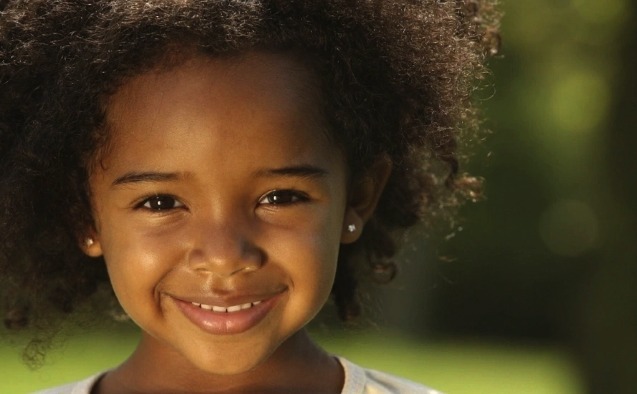 The timeless afro is a perfect hairdo for both boys and girls, and it looks absolutely charming on everyone. Natural hair is something to be proud of and every African girl should embrace her original beauty instead of hiding it. The afro is really flexible, and you can use your imagination to create amazing things out of it. Space buns are beautiful and make emphasis on your girl’s youth and cheery personality. The buns will attract everyone’s attention and make your daughter even more lovable. It does not matter whether her hair is long or short, you can make buns with any hair length. This hair option is really easy to create: you should just part the hair of your girl in two and then wrap every side into a ponytail. The next step is braiding each one of them, and making buns. Spiky Mohawk hairstyle will make your girl a center of discussions, as it will make her look bold, courageous and delightful. 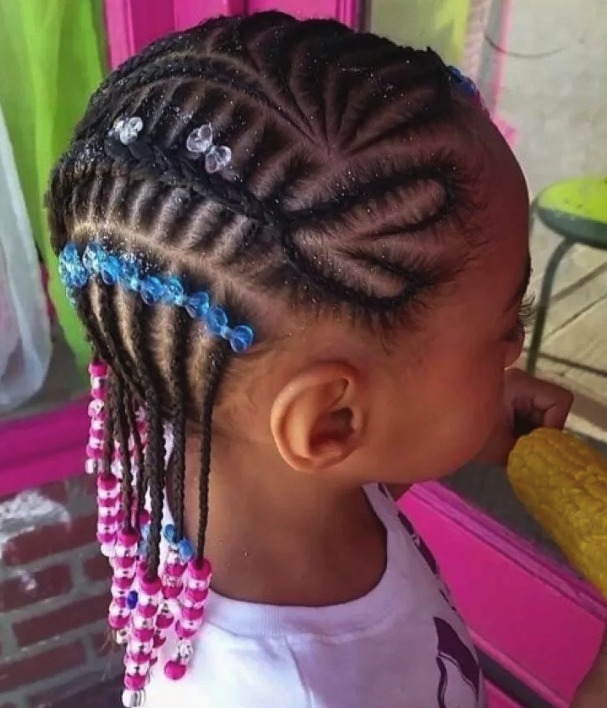 If your child is full of energy all the time and she dislikes sitting through long and boring braiding, this is one of the short hair options you should consider for her. Creating the beautiful heart pattern with your little girl’s hair would be a top choice. This playful ponytail will make every girl feel like a celebrity. Your girl can wear it to a birthday party or some important event in her life. The classic straight ponytail is nice too, but a side ponytail is a brand new stance on a timeless hairstyle. You should not forget to wear the bright and charming outfits together with it, and perhaps decorate your hair with a hair band and colorful scrunchies. Be a star with this awesome hairdo! These were some basic hairstyle ideas for girls and boys, but of course, you can go further and create something more interesting based on these options. Hair is a great canvas for creative thinking and imagination, so you should give your precious little girl or boy the most amazing and unforgettable hairstyle. 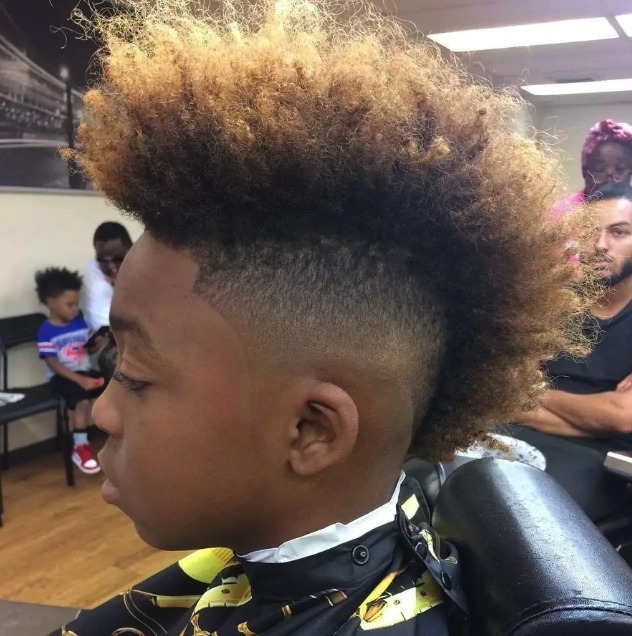 0 Response to "Most Amazing Natural Hairstyles For Your Little Boys And Girls (Photos)"